Leveraging upon our rich industry knowledge, we are offering our clients a wide array of Vibro Sifter. We process Vibro sifter according to the market standards with the help of best quality material. The whole range of Vibro sifter is passed through different quality provisions in order to dispatch flawless range. This Vibro sifter is highly recommended in the market for its incredible quality & available to our customers at affordable rates. "RCVS" Vibro Screen are available in M.S, SS 304, SS3 16 & SS 316 L.
Owing to our expertise, we are offering our clients a superior quality range of Vibro Sieve. We design these Vibro sieves with the help of leading edge technology under the direction of professionals. 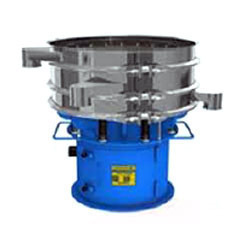 These Vibro sieves are examined on various factors of quality in order to ensure its quality. 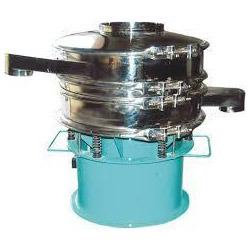 Owing to its fine performance, these Vibro sieves are widely applauded in the market & available with different specifications to choose from at suitable rates.